.... Typically, in a story of a dissenter, the author flatters himself and the audience. The deck is stacked; the cards are marked. Every right-thinking reader or viewer is confident that of course he or she would be at the side of this poor recusant who is being persecuted by narrow-minded peasants or by clerics who deny that the earth revolves ‘round the sun or that man is a product of evolution or that the earth is older than six thousand years or that witches should not be hanged. But really: is there anything easier than standing—at a very safe distance of years—with Galileo or Scopes or the martyrs of Salem? .... It’s so easy to say that you’re for free speech; that you honor the First Amendment; that though you may not agree with so and so who says such and such, you’ll defend to the death his right to say it. Well, here’s Abner Beech, an Upstate New York farmer of 1862. He thinks this war between the states—this hallowed war, this bloodletting out of which modern America was born—is an unconstitutional atrocity. He despises the soon-to-be martyred Abraham Lincoln, who by most 21st-century lights is the greatest American hero. Abner stands up and speaks his piece—his peace—during time of war. Okay, Mr. Free Speech. Are you willing to defy the mob and defend Abner? In “Copperhead,” the abolitionist Esther (who with her pacifist brother is the moral center of the movie) suggests to the Irish farmhand and Copperhead Hurley that maybe poetry is more important than politics. I believe that; Jee and Abner, the abolitionist and the antiwar Democrat antagonists, do not. 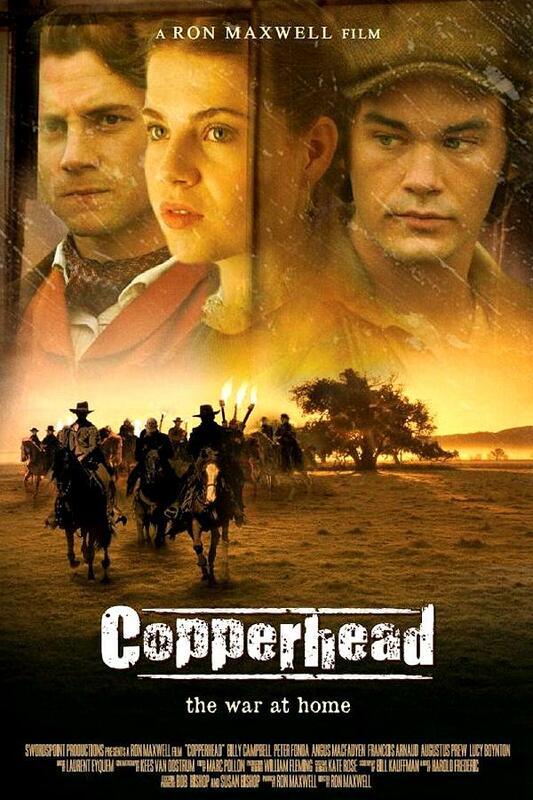 “Copperhead” does not end with an affirmation of the Union, as convention would dictate. Nor does it end with an affirmation of disunion, as would a pro-Confederate film. Instead, it ends by affirming the Corners, the settlement of the Beech and Hagadorn families, as superior, in the lives of its inhabitants, to those larger countries. It reminds us that a patriot should never boast of the largeness of his country but rather should take pride in its smallness. I do want to see this film.